With OverDrive Listen, you can borrow audiobooks and listen to them right in your web browser with a single click. There are no downloads or software required. OverDrive Listen is a streaming audiobook player that works on computers, tablets, and mobile devices with compatible web browsers. How do I start using OverDrive Listen? 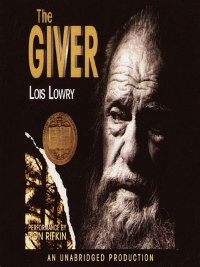 To get started, open your web browser and borrow an audiobook that's available in the OverDrive Listen format from your library. Then, click or tap the Listen now in browser button to begin listening to it immediately using OverDrive Listen. Note: This listening option is not available in the OverDrive app. Will OverDrive Listen work on my device? The easiest way to see if OverDrive Listen works on your device or browser is to try it out using the sample below; just click or tap the jacket cover. Most up-to-date web browsers are compatible with OverDrive Listen, like Chrome and Safari. You can read more about compatibility here. What are some features of OverDrive Listen? Using OverDrive Listen, you can change your playback speed, add bookmarks, set a sleep timer, and make notes and highlights. Whenever you return to an OverDrive Listen audiobook, whether it's during your current lending period or if you borrow the same audiobook again in the future, your place, bookmarks, notes, and highlights will be saved. Learn more about OverDrive Listen's features here. Can I use OverDrive Listen without an internet connection? No. OverDrive Listen is a streaming audiobook player, so you'll need an active internet connection to use it. 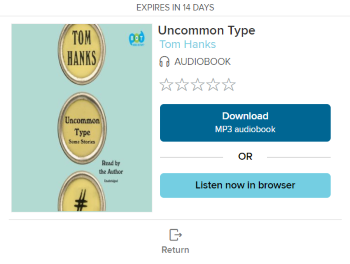 If you'd like to listen to audiobooks without an internet connection, you can still use the OverDrive app to download and listen to the MP3 format of the audiobook. Note: Using OverDrive Listen can consume a lot of data, so if you're on a mobile plan with a data cap, we recommend using a Wi-Fi connection when streaming on your mobile device to avoid data overages. With OverDrive Listen, you can borrow audiobooks and listen to them right in your browser with a single click. There are no downloads or software required. To get started, borrow an audiobook that's available in the OverDrive Listen format from your library. Then, click or tap the Listen (In your browser) button on your Checkouts page (under your Account) to begin listening to it immediately using OverDrive Listen. Using OverDrive Listen, you can change your playback speed, add bookmarks, set a sleep timer, and make notes and highlights in borrowed audiobooks.